Translating analytical data into chemical ingredient lists is one of the key competences in chemometrics, specifically in the ever-increasing coverage of contemporary omics technologies. Most models of such mixtures are unsupervised, which makes their validation challenging—especially since this affinity with validation seems a very chemometric characteristic. As a result, also comparing between models is a challenge; most characteristics of a cluster or ordination model do not directly relate to its quality in recovering the biomedical information within. However, such critical comparison is of the utmost importance to define best practices for the end-user and to truly understand the quantitative representation of biological processes. For Multicolour Flow Cytometry, several high-impact publications have introduced novel specific analysis methods to distinguish different types of white blood cells. Studies of equally high-impact have tried to critically compare these methods for recovery of different cell types, based on comparison of the algorithm performance to manually resolving cells into different populations. However, the criteria used for this comparison are very limited, compared to the biomedical information the end-user would need to interpret. Therefore, we have defined a series of criteria that cover many more aspects of the reconstruction. We use this list to compare methods based on a dataset about which much biomedical information is available. We also show how supervised analyses may aid in resolving more cell types and how sparse analysis may harm such discoveries. Jeroen Jansen has studied chemistry at the University of Amsterdam, with a specialization in Chemical Engineering. He started his PhD with Age Smilde at the Process Analysis and Chemometrics groupm and was one of the first to develop chemometrics specifically for metabolomics and other high-dimensional systems biology. His thesis introduced Analysis of Variance-Simultaneous Component Analysis (ASCA), by now a widely used chemometric method. His first Post-Doc was at the Netherlands Institute for Ecology, where he studied the application of metabolomics technology in the study of plant-insect interactions. After almost four years of dirty hands, Jansen went back to the computer desk at the Netherlands Metabolomics Centre. He there further developed methods specifically for the study of Individual Differences, very relevant in Personalized Health. 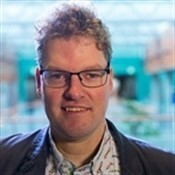 Since 2011, Jansen is Assistant Professor in the Chemometrics department of Lutgarde Buydens at the Radboud University in Nijmegen, the Netherlands. He has been Head of Department there since 2016. Jansen leads a group of enthusiastic young researchers in the development of chemometric solutions for MSPC, in industry, medical diagnostics and environmental analysis. I have been working all my academic career in chemometrics (since around 2000). When I did not work in chemometrics (in chemical ecology) I found out that I could not do without it, and that there was a huge demand in such expertise in that field. I feel that I cannot do without mentioning ASCA, but I think the biplot brings by far the most added value to a data analysis in terms of systemic insight. Thirdly, I am always amazed that MCR (when you are lucky) just resolves the constituents of a mixture with very minor amounts of prior knowledge. Chemometrics has a strong added value to AI, Data Science and Machine Learning in that it is strongly integrative. Much of the added value of chemometrics solutions come from a proper quantitative understanding of the analytical platform used to collect the data, for example in data preprocessing and in informed constraints imposed in MCR. The measured system on the other hand may be reflected in Design-of-Experiments and other methods. The future of chemometrics to me is adhering to this integrative aspect, using this to better formulate value propositions for the chemometrics solutions we develop. Seeing interesting implementations of chemometrics for sustainability, quality of life and other interesting benefit to mankind!